(VIDEO) HSH Prince Albert II of Monaco Inaugurates a New Exhibition. On Thursday, July 9, 2015, His Serene Highness Prince Albert II of Monaco inaugurated the special the exhibition, Romanov et les Grimaldi: Trois Siècles d’Histoire, at the Bibliothèque and the Grands Appartements at the Palais Princier in Monaco. 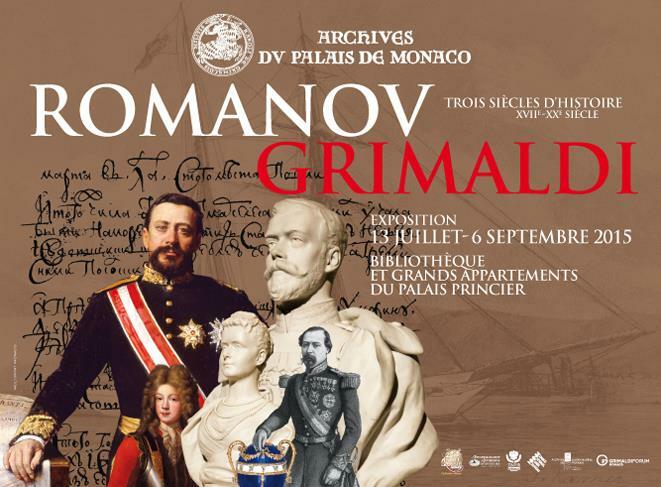 Organized by Mr. Thomas Fouilleron, the director of the Archives du Palais de Monaco, in collaboration with the Archives Audiovisuelles de Monaco, Nouveau Musée National de Monaco, and the State Archive of the Russian Federation (GARF), the exhibition showcases the unique relationship between the House of Grimaldi and the Romanov dynasty. Romanov et les Grimaldi: Trois Siècles d’Histoire will be open the public beginning on July 13-September 6, 2015. (VIDEO) Her Majesty Queen Elizabeth II Watches a Flypast Over Buckingham Palace. On Friday, July 10, 2015, Her Majesty Queen Elizabeth II and His Royal Highness The Duke of Edinburgh accompanied by His Royal Highness The Duke of Cambridge, His Royal Highness The Duke of York, Their Royal Highnesses The Earl and Countess of Wessex, His Royal Highness The Duke of Gloucester, His Royal Highness The Duke of Kent, Her Royal Highness Princess Alexandra, The Honourable Lady Ogilvy, and His Royal Highness Prince Michael of Kent watched a flypast over Buckingham Palace in London in celebration of the 75th anniversary of the Battle of Britain. (VIDEO) Members of the British Royal Family Attend a Reception in London. On Friday, July 10, 2015, His Royal Highness The Duke of Edinburgh accompanied by His Royal Highness The Duke of Cambridge, Their Royal Highnesses The Earl and Countess of Wessex, His Royal Highness The Duke of Gloucester, His Royal Highness The Duke of Kent, and Her Royal Highness Princess Alexandra, The Honourable Lady Ogilvy attended a reception at the Royal Air Force Club in London to celebrate the 75th anniversary of the Battle of Britain.